This week, I’ve traveled to the Northwest to visit with Author Lorna Lee. is out and ready for you to purchase for your Christmas gift giving. It’s a crisp fall day outside. There’s a picture perfect view of trees dressed in their fall colors from Lorna’s living room that’s breathtaking. A roaring fire and a hot cup of chai tea set the stage for our chat. Isadora: Good afternoon, Lorna. You have a lovely home. Your living room is comfy and cozy. Thank you for inviting me for a visit. Before we begin may I say – without taking anything away from your exceptional writing – that your blue eyes are much more stunning in person. Your gravatar doesn’t do their beauty justice. Lorna: (blushing, making eyes all the more blue and beautiful) Aw, thanks, Izzy. These eyes of mine have gotten me into more trouble than you can imagine. I don’t mean to mesmerize people and cause traffic accidents. That’s why I’ve taken to wearing sun glasses even here in the cloudy Northwest. Safety first, right? Isadora: (smiling with a chuckle) Now, who’s this little furry friend whose come to join us? Aren’t you a handsome guy? Lorna: Izzy! Stop flirting with Phil, my fiance. He’s just heading out to his new job. He does have a lot of hair–kind of like Robbin Williams, huh? Trotting up right behind him is good old Scrappy. I just finished blow-dying him. He refuses to wear that fancy yellow rain coat I bought him. Typical guy: no fashion sense. Isadora: LOL You sense of humor is perfect for my sparkling lighthearted personality, Lorna. I know your fiancé / unhusband from your unmarriage is quite smitten with you; besides he’s blinded by those eyes. Remember? Hello Scrappy (head scratch) Now, where was I? Okay, let’s get started. The description of your blog is “ Finding the humor in everyday life”. Have you always looked at life in a humorous way or did this come about as a way of coping with unhappy situations? Lorna: I can’t recall my toddler days, but my mom says I was the clown of the family. She said I often had a witty come back to adults who asked me silly questions. For example, my grandfather asked me what would I do if I was alone in a boat with him. I was about six years old–I know, kind of creepy, huh? I said, “If you were in the boat, then I wouldn’t be alone.” He laughed and told the story about how clever his granddaughter was. So I guess I’ve always had a natural propensity to be light-hearted. Well, except for those hormone-space-cadet teen years when Edgar Allen Poe was my hero and I was quite melodramatic because I thought boys would go for a moody drama queen. Isadora: Yes, we all had those years. Why did you start a blog? Lorna: I was writing my first book, a memoir, and needed to market it. So I read a book on how to market your book. Having a social media presence was a “must do.” This was not good news to me since I was afraid of Face Book and had never even read a blog. Heck, I didn’t even know what the word “blog” meant. The book I was reading suggested WordPress as the best blog for writers because publishers often “troll” (which I thought was a noun, not a verb) that site for new talent. So I asked my son to give me some pointers on starting a blog and Lorna’s Voice was born. Isadora: I’m sure you’re son was of great help. Computer savvy and all that !!! Is your blog meeting your expectations? In what way? Lorna: Absolutely! Actually, it is exceeding my expectations because I had no expectations, not really knowing what to expect. As fate would have it, the very first post i published, “To Be Honest With You…” was Freshly Pressed. As a total blog-dolt, I thought WordPress highlighted the first posts of all new-comers. I had no idea what it meant to be Freshly Pressed, but, on my first day, I got over 3,500 hits and 100+ followers. I just thought WordPress was such a friendly place! I haven’t been FP’ed since. Other than that, I’ve met countless blogger buddies with whom I feel very close connections. I’ve helped them; they’ve helped me. I care about them; they care about me. From my blogging experience, I can now understand how people can develop deep personal relationships solely by interacting online. I never thought that was possible, or at least I thought it was dangerous. Now I know differently. At least so far. Isadora: I remember seeing your blog for the 1st time on Freshly Pressed. Incidentally, I’m so happy I did find you there. You’re posts add sunshine to my day. Did you feel pressure after being Freshly Pressed to create outstanding posts? Lorna: As I explained earlier, it took me a while to understand that being Freshly Pressed wasn’t WordPress’s version of a Welcome Wagon. Once I understood what it meant, sure. I tried to come up with clever posts that would surely get the FP nod. After all this time, I’ve given up. I got Freshly Pressed at the best time a blogger could possibly be recognized–when just starting out. Now I do my best to entertain my followers. Having their positive feedback is encouragement enough. Isadora: I’m sure you’ve answered the question of many bloggers who wonder when they’ll be Freshly Pressed. What I love about your blog – in addition to your humor – is your honesty. 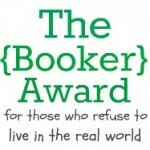 Have you had any backlash from your 1st book – ‘How Was I Supposed to Know? The Adventures of a Girl Whose Name Means Lost, A Memoir‘ because of that honesty. 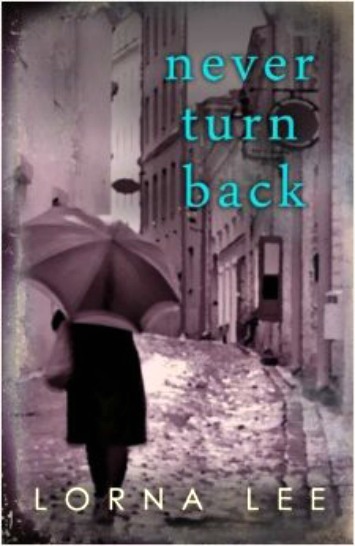 In your 2nd book – ‘Never Turn Back’ – the main character, Meri, is she based on someone in your life? Lorna: Yes. While it is a novel–historical fiction–it is based on the real life of my maternal grandmother and the horrific life she lived. Other characters in the book are also real–my mother and my step-grandfather and a few others. Many events (both personal and historical) are also real. I simply had to make up a great deal of the story so that the facts flowed into a cohesive, compelling story. My grandmother only told us what she wanted us to know. She was very good at keeping secrets! Isadora: She was no different from many people who kept secrets about their lives or even their health issues which may have had stigmas. What do you want people to know about your new book ‘Never Turn Back’? Lorna: This is a very different book (in style) from either my memoir or my blog. Most people know me for my witty (or zany) humor. This novel is not funny. It is quite serious with a few light moments. My grandmother was a tough and stubborn woman. She made decisions that she had to, not the ones she wanted to, in a time in history (World War II) when life was difficult. This book is a study in determination and survival at almost any cost, with many twists and turns of fate. Just remember, Never Turn Back is not a “feel good” book, although it is story of human survival and clinging to a dream regardless of the odds against it. Isadora: The books sounds dramatic with overtones of suffering. It’s a page turner. I think it could make a great movie. Do you have a genre you’d like to do? Is a comedy book something you’d like to explore? The cartoon images with notations on the bottom on your blog posts are hilarious. Lorna: I’m a notorious “genre-jumper.” Smart writers stick to one genre and develop a following. No one can accuse me of being a smart writer. I do self-deprecating humor very well (the memoir), I can poke fun at just about anything (my blog), I can write serious fiction based on real people and events (my new novel). What else can I do? I was thinking of a crime/mystery with a quirky protagonist (and other characters) who gets into all sorts of trouble just to bring some humor back to my writing. What do you think? Isadora: It sounds tantalizing and intriguing. I think humor is missing in our day to day lives. Is there any advice you’d like to tell novice writers and self-publishers that you’ve experienced? Lorna: The real work begins after you’ve written your manuscript. Hand it over to as many people as possible (including professionals you may have to pay–it’s SO worth it) who will give you constructive criticism–not just accolades (although praise is always nice to hear). You need to hear/see where you need to improve the manuscript. Once all the major editing is done, pay for a sharp-eyed line-editor to scour your text for grammar and typo errors. To self-publishers: unless your job is cover art design, hire someone to do your cover. Just look at the difference between the cover of my first book (self-designed) and the second (professional design). Finally, give your book away to reviewers before you publish so that you can include hopefully great reviews on your cover or when you begin promoting your book. Isadora: This is all very good advise. You’ve covered a great deal of questions. Now that you have two published books, do you feel they’ve taken you on the journey you had envisioned? Lorna: When I began my career as a writer, I was clueless about the process of writing, publishing, and marketing books. I had visions of just the right person picking up my memoir and passing it onto a publishing house or Hollywood producer. I hold the same vision for Never Turn Back. I know it happens. But the odds are the same as getting struck by lighting twice…Wait! That happened to me! Maybe I’ve got a shot! Really, I’ve discovered that writing is something you do because you must, not because you want to get rich or famous. It’s a great deal deal of work, so it better come from the heart and you better love doing it. Otherwise, it’s just a whole lot of work. Isadora: LOL Yes, I do remember those lightning strikes in your 1st book. You are a survivor in many, many ways. What does the future look like for Lorna Lee, the writer? Lorna: I’ve got a blank journal with creative prompts on each page. I’m going to do some creative writing to get me in the mood to decide if I want to tackle another book-length project. My blog needs my attention, too. Isadora: What does Lorna Lee want for her future? Lorna: My future? I’ve never looked too far ahead, Izzy. Maybe that’s why I’m such a klutz! I’m a moment-to-moment kind of gal. Right now I’m happy that such a sweet friend like you took the time to talk with me. I trust that each next moment will be just fine. If it’s really bizarre, I’ll blog about it. If I was going to have a tombstone, the epitaph would read, “She never saw it coming.” Because I just never think about the future! Isadora: Perhaps, too many plans can deprive us from enjoying the now. I want to THANK YOU Lorna for a lovely afternoon. It’s been fantastic learning more about you and cuddly with Scrappy. I wish you a great deal of success for ‘Never Turn Back’. I hope to see your future aspirations come true. Lorna: Since I don’t have any future aspirations, I’m sure they all will! Thanks, Izzy! For anyone who hasn’t visited Lorna’s Voice here is a blog post ‘Starve a Cold a Freshly Pressed Fever’. This will introduce you to her hilarious humor. Scrappy is a terrific star in this one. Categories: Art, Authors, Book | Tags: Author: Lorna Lee, Authors, Book: How was I Supposed to Know?, Book: Never Turn Back, inspiration, LIFE, Lorna Lee, memoir, WRITING | Permalink. I appreciate your complimentary words … THANK YOU !!!! As Lornas blog is, very entertaining, interesting and true. well done Izzy..